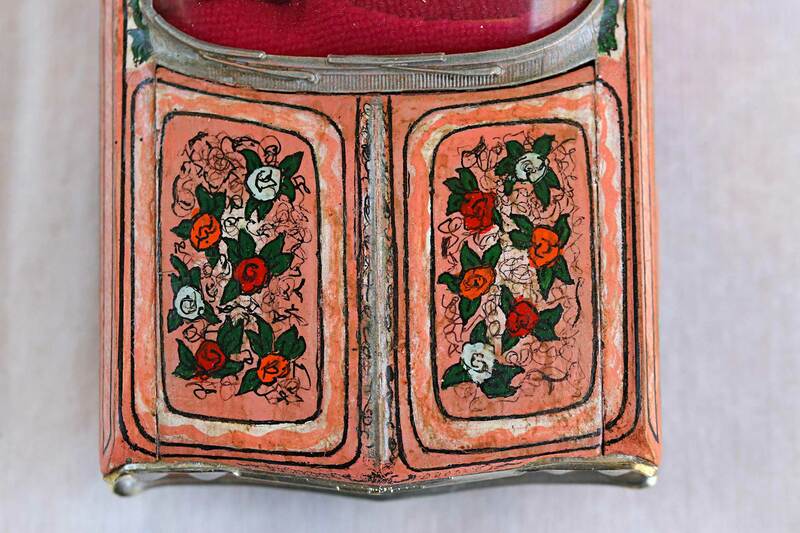 Inspiration strikes unexpectedly and sometimes paves the path for future success. 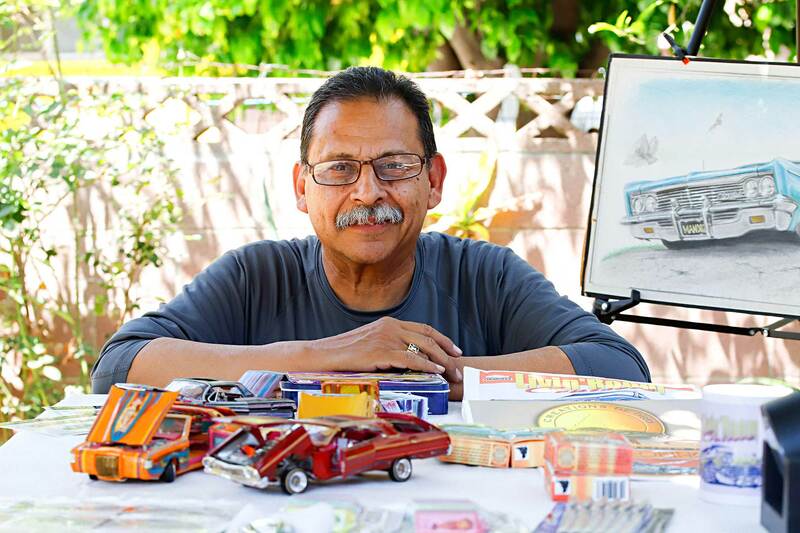 For an 8-year-old Armando Avila it was just another day sitting at the bus stop with his mother, Delia, when a fleet of four custom 1957 Chevys cruised by on Whittier Boulevard, a stretch of road famous for slow and steady car club rides in Los Angeles. 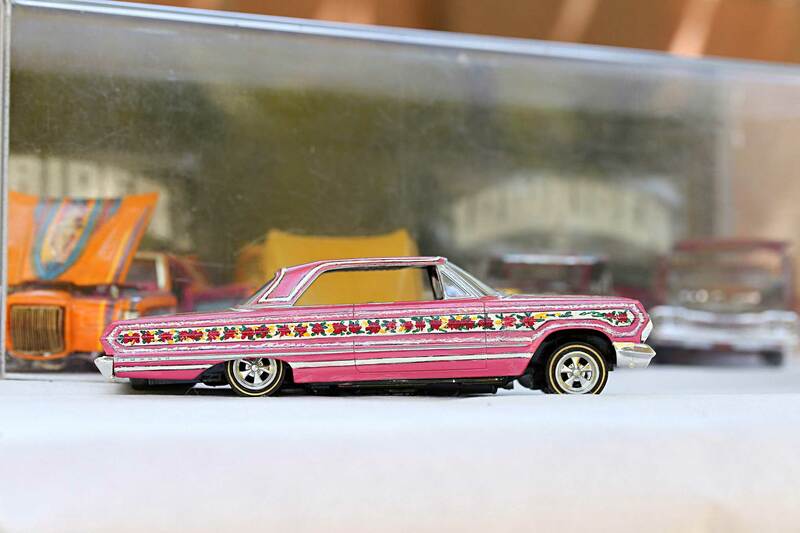 It was in this moment Armando became fixated on the lowrider scene. 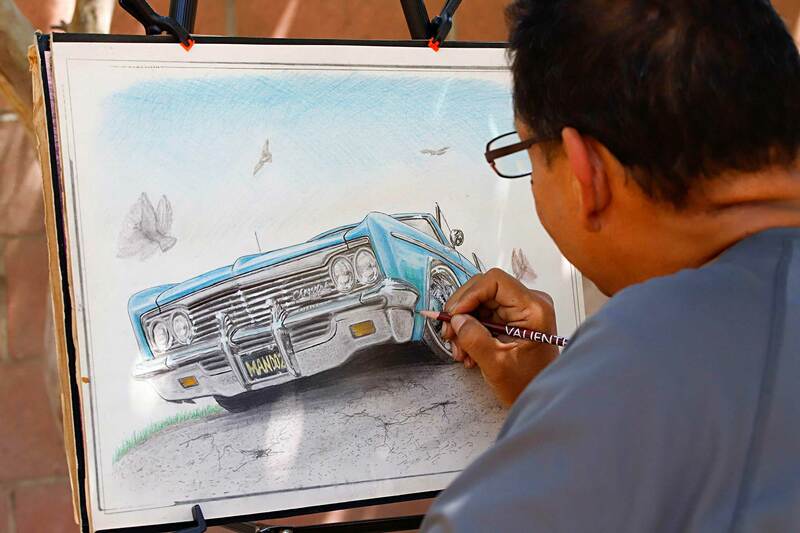 A couple years later, Armando’s abuelita, Belen, taught him the art of “pencil cruising.” She said, “If you like or want something, do not steal or cheat anyone for it, work hard for it or draw it and it will be yours forever.” He took this wisdom from his family’s matriarch and immortalized his imagination through paper and pencil. 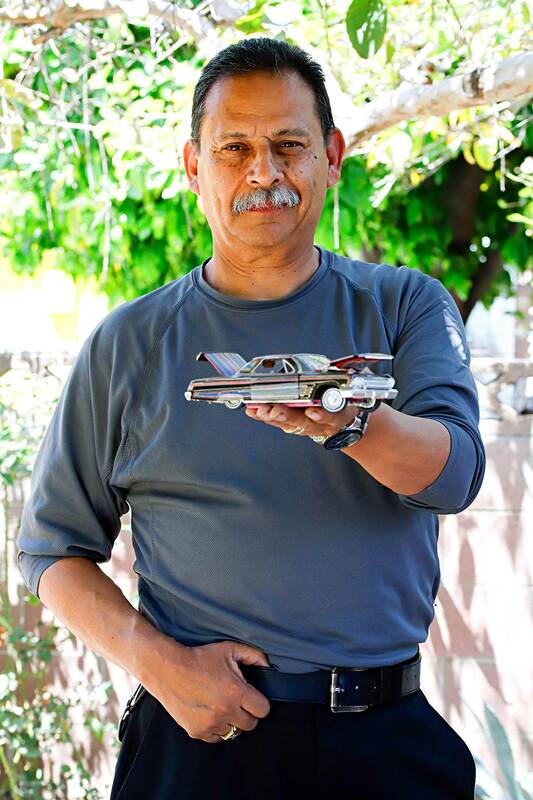 As a teenager, Armando channeled his inspiration and artistic abilities by building two Chevy Camaro models with the help of his two uncles who also assembled kits on their free time. 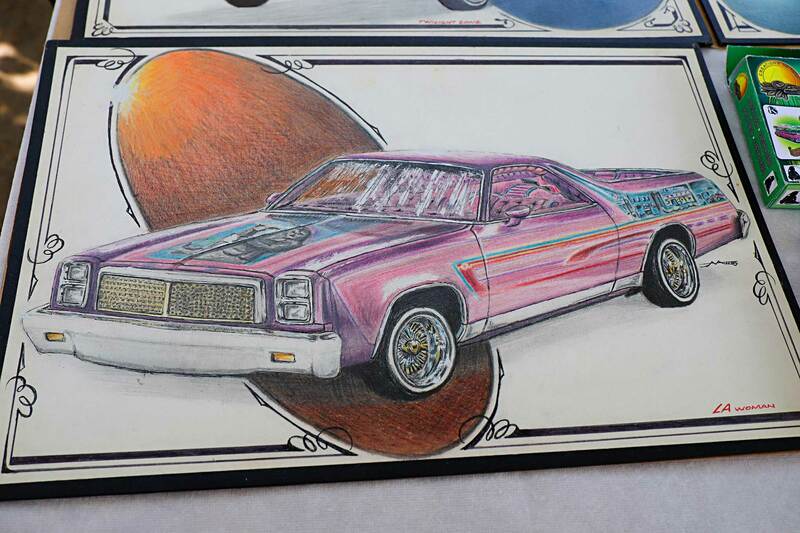 From this moment on, Armando’s creativity blossomed into a lifelong career of creating artistic renditions of classic cars in the form of plastic models and sophisticated handmade drawings. Armando took his creativity one step further when a friend introduced him to computer design programs. 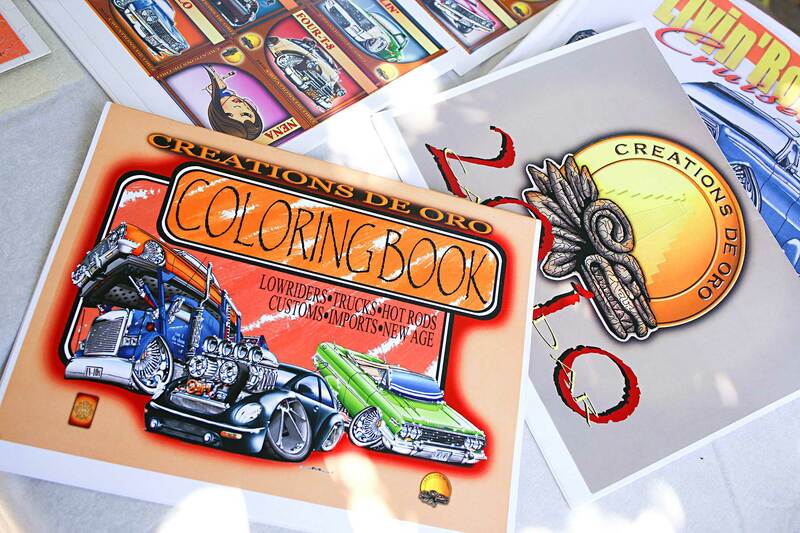 Through Photoshop, Armando digitized his unique and colorful drawings of hot rods and lowriders. 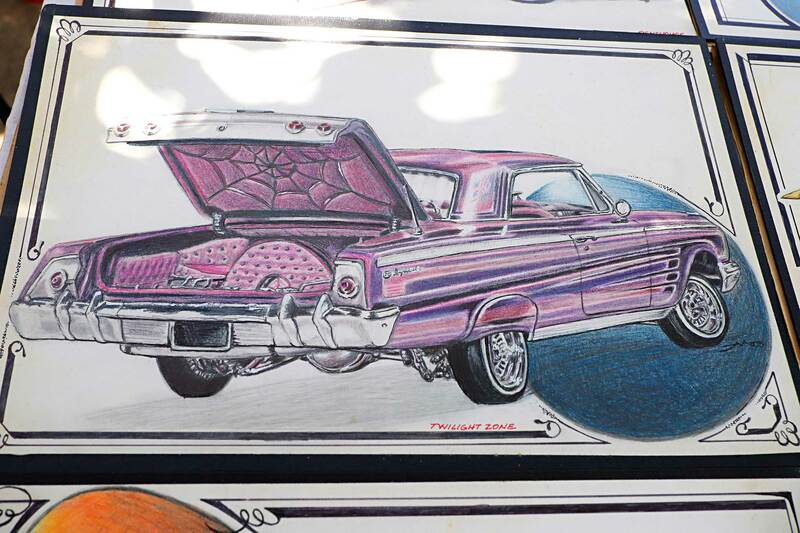 Some drawings were based on real-life cars like “Gypsy Rose,” the self-proclaimed “most famous lowrider in the world.” Others were modeled from Armando’s vivid imagination. 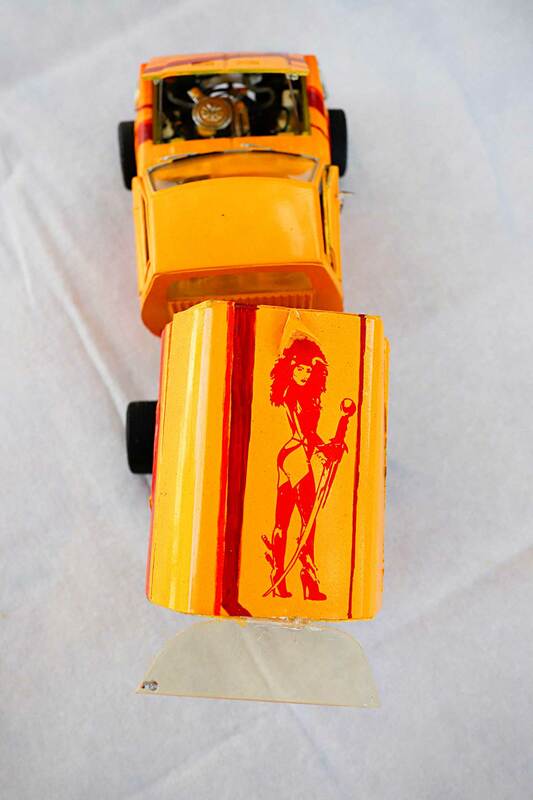 Armando’s wife, Catalina, inspired him to launch a new design project focused on portraits and characters of women. 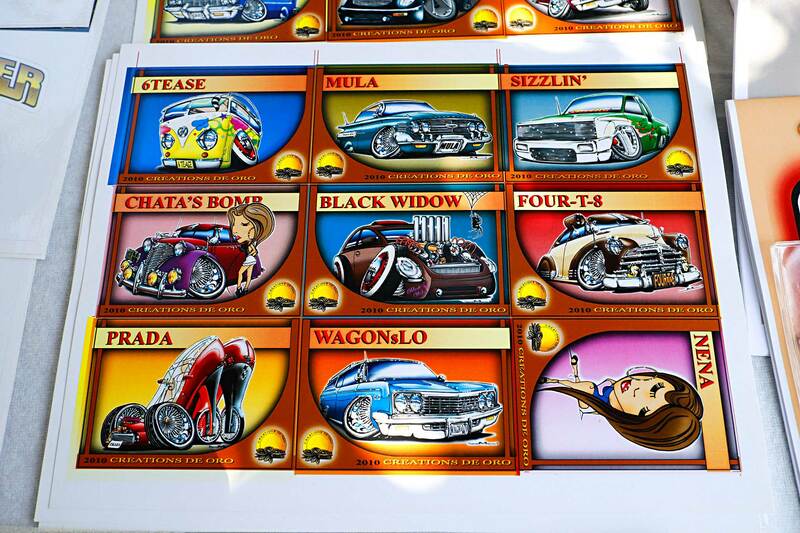 She helped him create sensual characters, such as La Hoochy, Classic Ladies, and Las Diablitas. 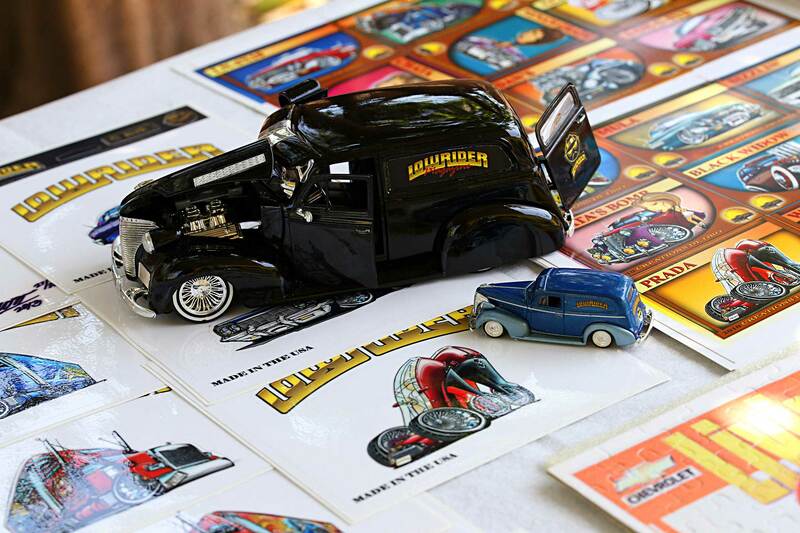 His dedication and extensive knowledge of the classic car scene paid off when he landed a job at Lowrider magazine as an archivist in 1994. 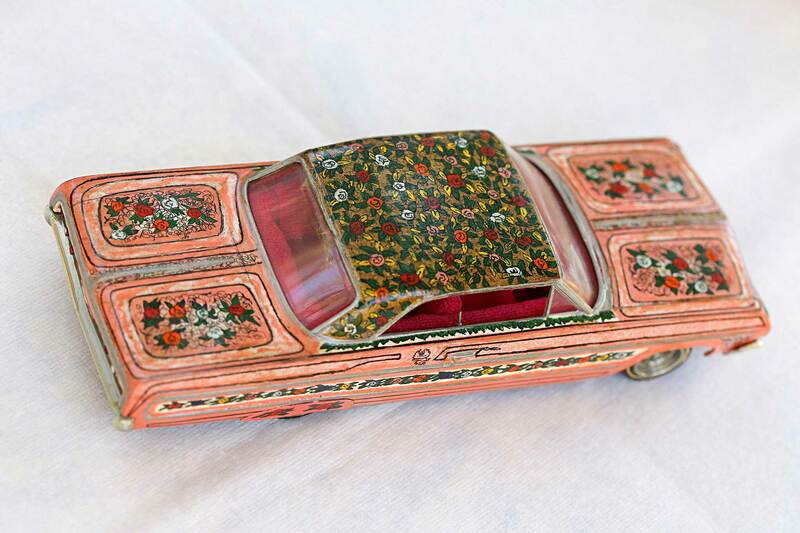 A major highlight of Armando’s time at the magazine include the moment he helped bring “Gypsy Rose” back into the public eye at the prestigious Petersen Automotive Museum in 1996. 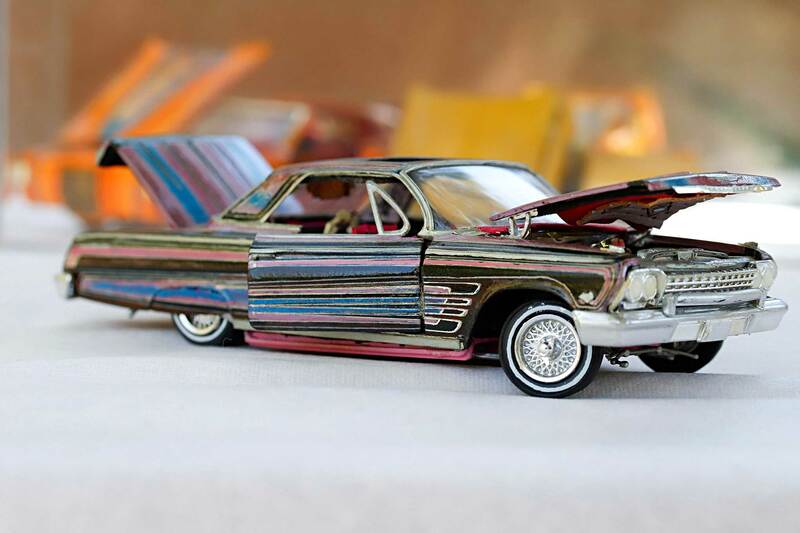 Armando’s obsession with car models made him the go-to man when Lowrider launched a self-branded line of kits. 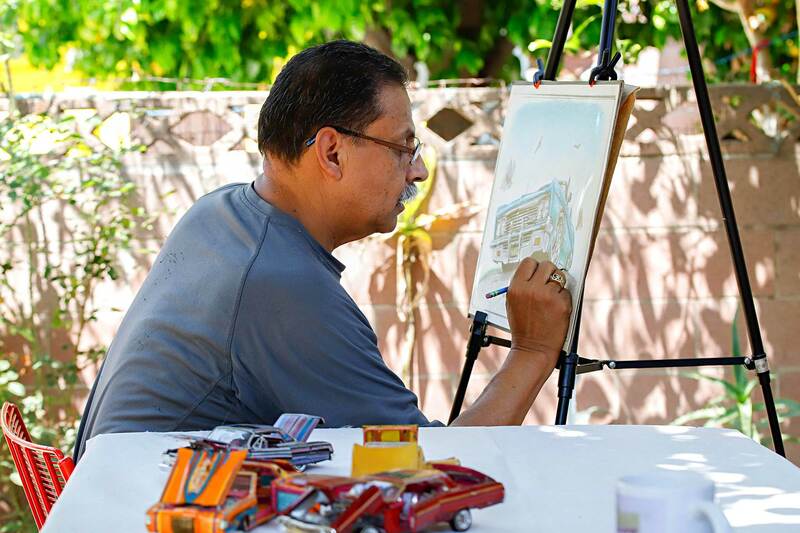 Armando filled many roles at Lowrider because of his versatile artistic talents. 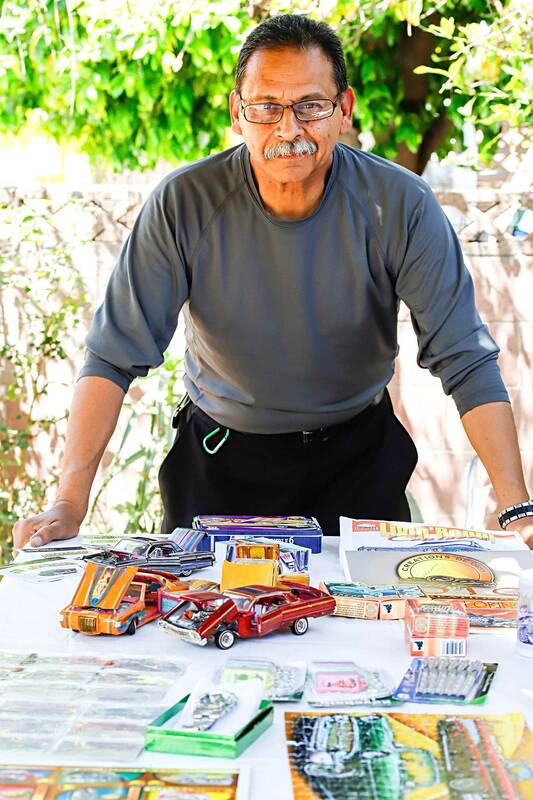 He ended his 12-year career with the publication in 2005 as the editor of Lowrider Arte, writer, web producer, public relations, edge, and historian. 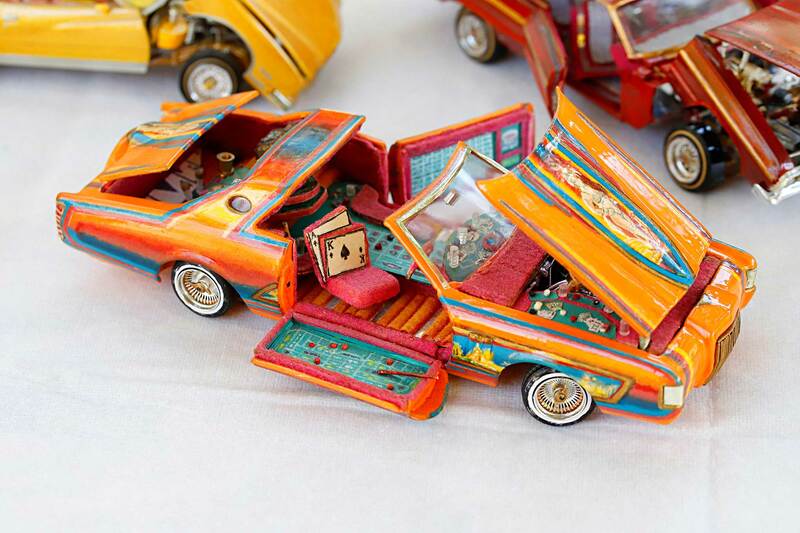 For him, the car culture signifies the unity of all walks of life. 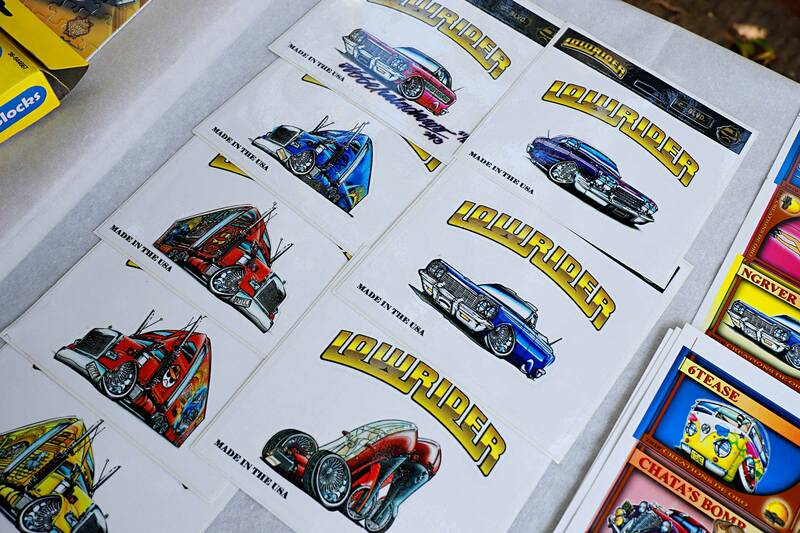 It’s a passion that brings people of all colors, backgrounds, and ages together to keep the spirit of the classic hot rod alive for generations to come. 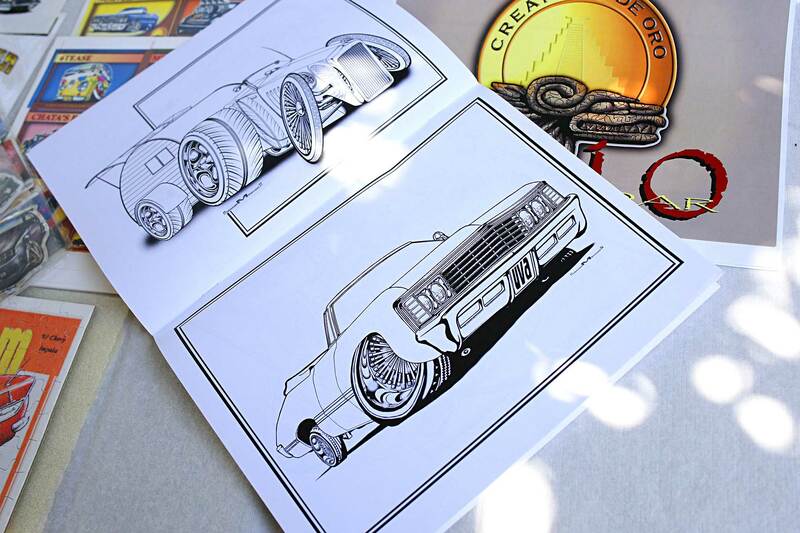 Armando credits his family for his success in the car scene and his love of lowriders everywhere.